The Mopar Multi Logo Crew Shirt features a large "Omega M" Mopar logo across the front of the shirt with a hidden button strip. 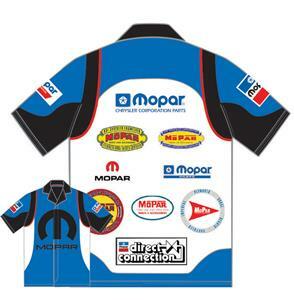 All of the Mopar logos are printed on the back of the shirt and on the sleeves. This high quality shirt is made from 100% polyester dry wicking material and is machine washable.